LinkedIn, the social media tool, is one way that S.H.A.R.E is helping their members network. Support and Networking for Job Seekers. As the economic news worsened in late 2008, Beth Am Israel (BAI) members began to discuss the challenges and stresses they were facing and several synagogue members decided to take action. President John Harris and Rabbi Jeff Sultar quickly embraced the idea of supporting members—both at Beth Am and at other area synagogues—who were facing home foreclosures, losing jobs or dealing with other financial difficulties. John shared the idea with Jackie Needleman, BAI Gemilot Chasidim committee chair, and soon thereafter Jackie, Lisa Schifman, BAI -Fiscal Secretary, Ken Podell, BAI member and a Financial Advisor and Adam Wishkovsky, BAI member, met and established the “Reachout Reference and Support” group. The group’s original goal was to connect with and support community members in multiple ways: to help people handle financial issues; to help them prepare for potential career changes; to brainstorm on job search best practices; and to offer a safe, supportive space to share experiences. After meeting several times, the group decided to change its name from “Reach Out” to “BAI Cares Support Group.” This group has continued to evolve and to reflect the community’s needs—driven partly by my own personal experience. 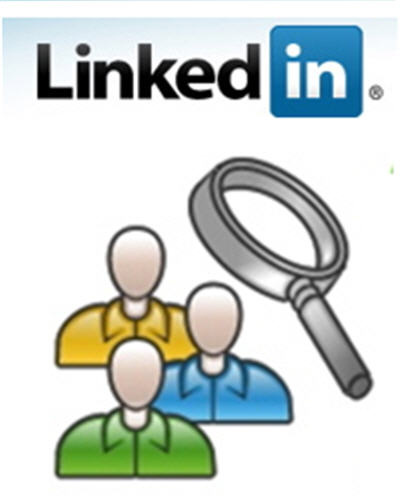 Activities of the group now include weekly networking meetings; the ability to connect over the Internet via LinkedIn, where there are 33 group members currently registered (access to job opportunities that members share; and general networking opportunities). “I believe strongly in supporting my community in any way I can. I was more than happy to sponsor brunch for those attending weekly meetings,” said Mike Saewitz, a BAI member and President of Campus Textbooks who generously contributed brunch after each of the multiple meetings. Additional speakers have included BAI members who are HR recruiters, career advisors, professors of communications & leadership, professors of English writing, president of a career executive company, a financial advisor and others. So many members have contributed generously of their time to help those in need. Subject: The psychology of goal-setting and interview “secrets” from a professional interviewer. Additional Job Workshops will be scheduled shortly. S.H.A.R.E. meets 7:30pm every Thursday evening at Har Zion Temple (1500 Hagys Ford Road, Penn Valley, Pennsylvania) with the exception of next Thursday, September 17, 2009. For more information, please contact Adam Wishkovsky adamwish23@gmail.com or Sharon Richman sir4531@gmail.com. Adam Wishkovsky, a sales & marketing executive for over 25 years. Born in Poland, grew up in Israel, served at the IDF and participated in the Six Days and Yom Kippur wars. Arrived to USA in 1976 to complete his MBA at the Buffalo (SUNY) University. Moved to Philadelphia in 1986 and a member of Beth Am Israel since then. Married to Cyndee (Heisler) and has 2 sons, Joel & Ariel.